This Whiplash was born in Dana Point , CA. Handcrafted by Dave Boehne. This 12.6x23" at 280L dugout custom board. It's one of the biggest dugout board on the market in 12.6 class board. 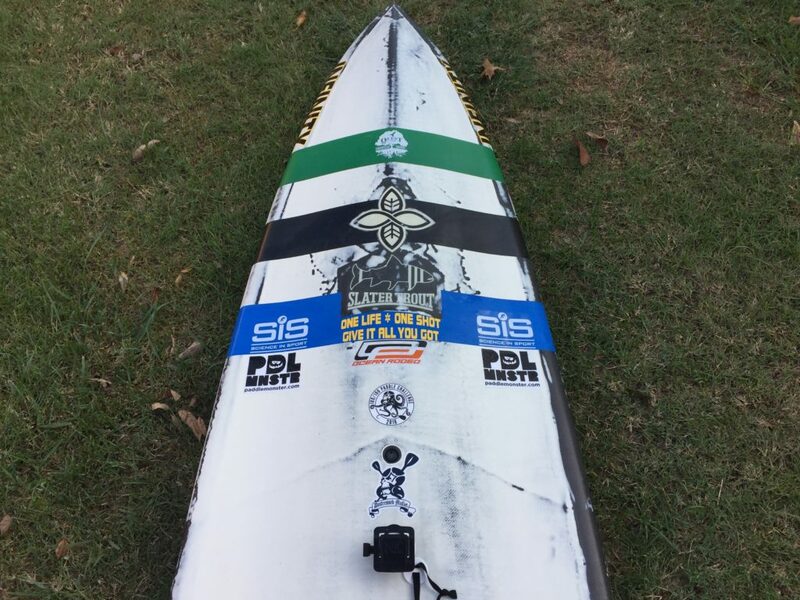 Board is equip with Pro Box Fin System for 4 fin system. Unique shape with concave, inverted pin tail makes board little tippy but also in motion it glides like a dream. 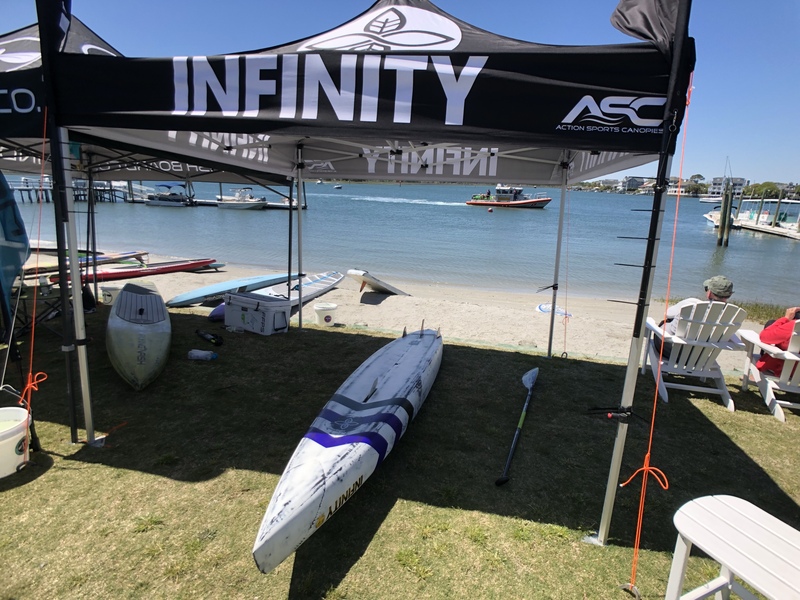 Want know more about Infinity products? 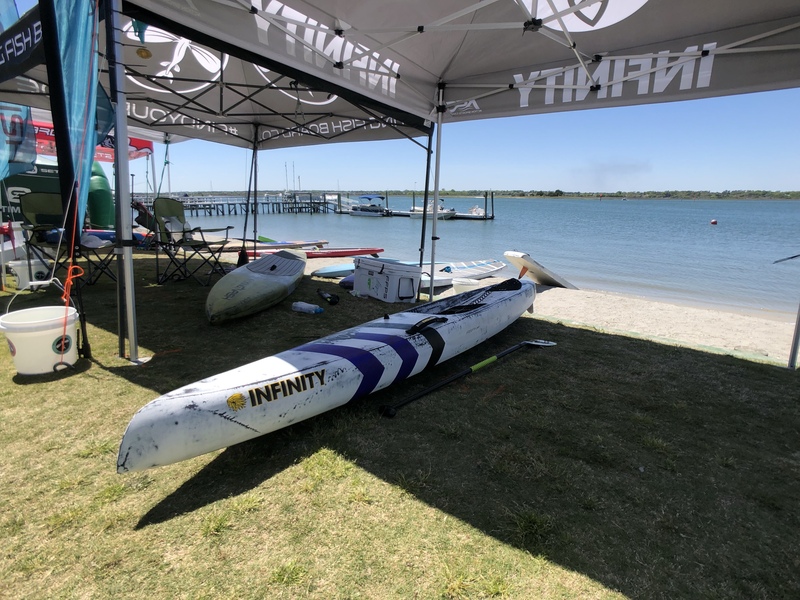 Visit Infinity website today. This Whiplash was born in Dana Point , CA. Handcrafted by Dave Boehne. This was his personal board that I was able get hands on. It has 260L high volume nose in a 24" wide 12.6 board. Perfect for 165lbs to 170lbs body weight. It originally came with Probox triple fin setup. 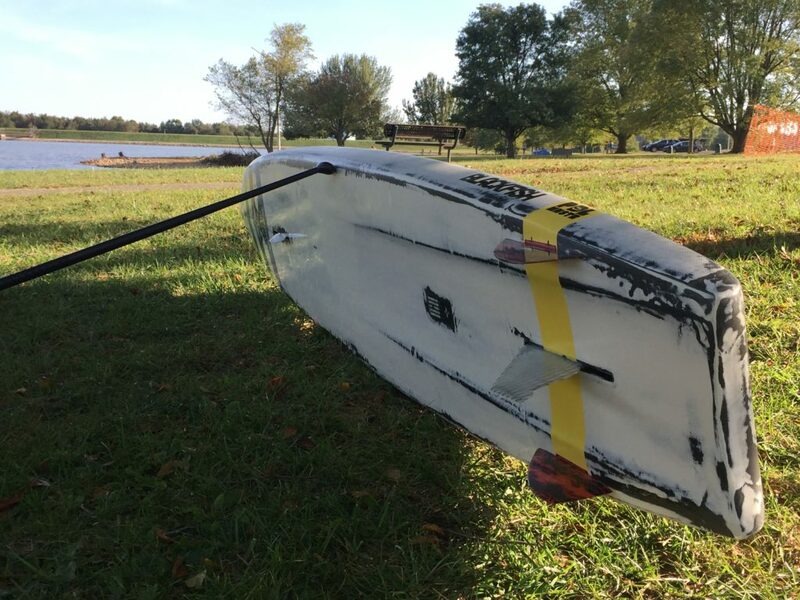 Now this board has full out Probox Fin system with Ventral assist. 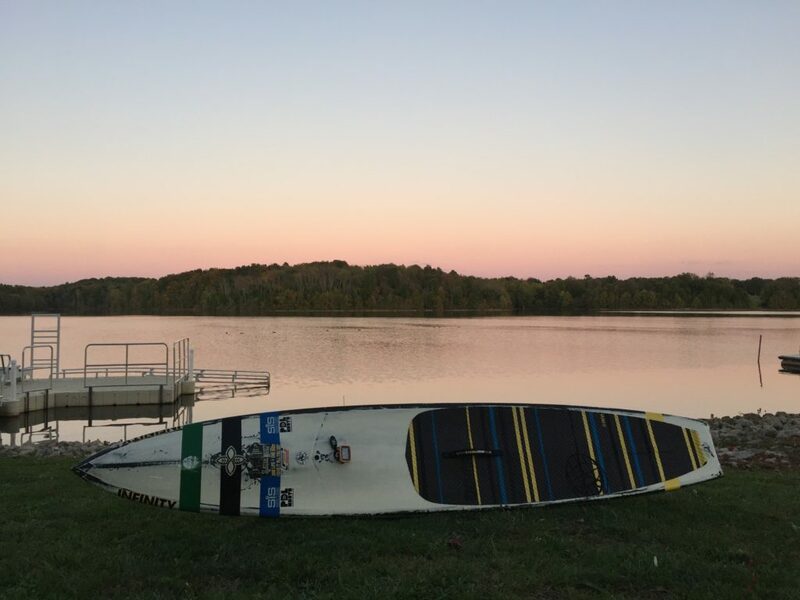 This board is a dream machine for flat conditions and most of the bump conditions in both fresh and open water. This Whiplash is my go to board for about 90% of my races. 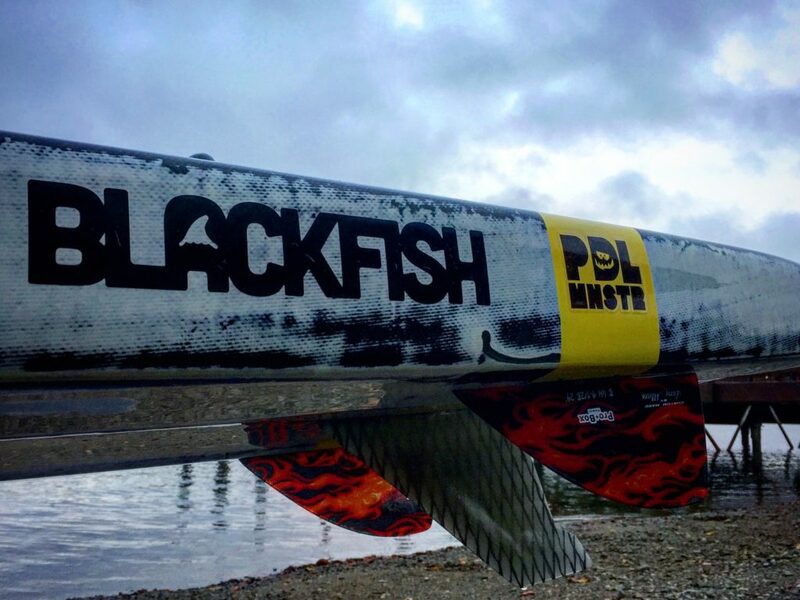 The Blackfish was born in a Dana Point , CA. Handcrafted by Dave Boehne originally for Wendy Trout. She is Slater Trout's aunt. It has 250L high volume nose in a 25.5" wide 12.6 board. Perfect for 165lbs to 170lbs body weight. Now this board came out of Infinity Fun Factory with Probox Fin system with Ventral assist. 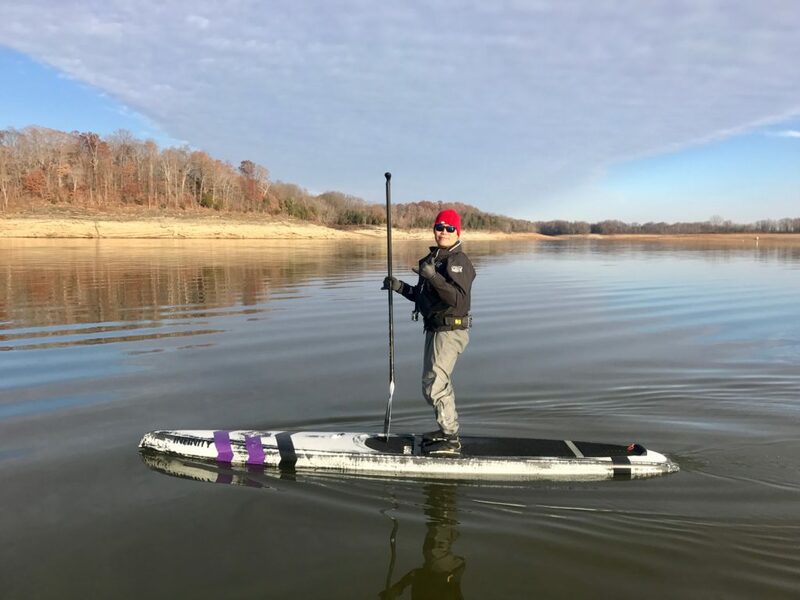 This board was designed for open water condition yet still glides and sustain the speed for long distance in fresh water. The Board needs extra attention to ride properly, but if you find that sweet spot, the board is fun to ride. 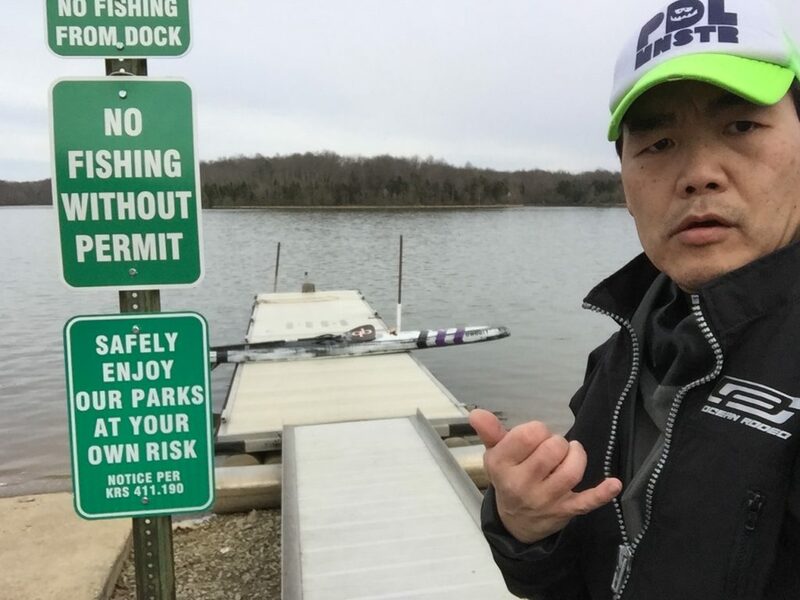 I completd The 2017 Chattajack 31 with this board. It performed as well as I expected and sustained speed. When it comes to a fins, I call up the "Fin God" (as I call him) who knows a little more than you think. Larry Allision's handcrafted fins are something special when you ride with your board. It's magical and they have deep meaning to each fin he designs and creates. 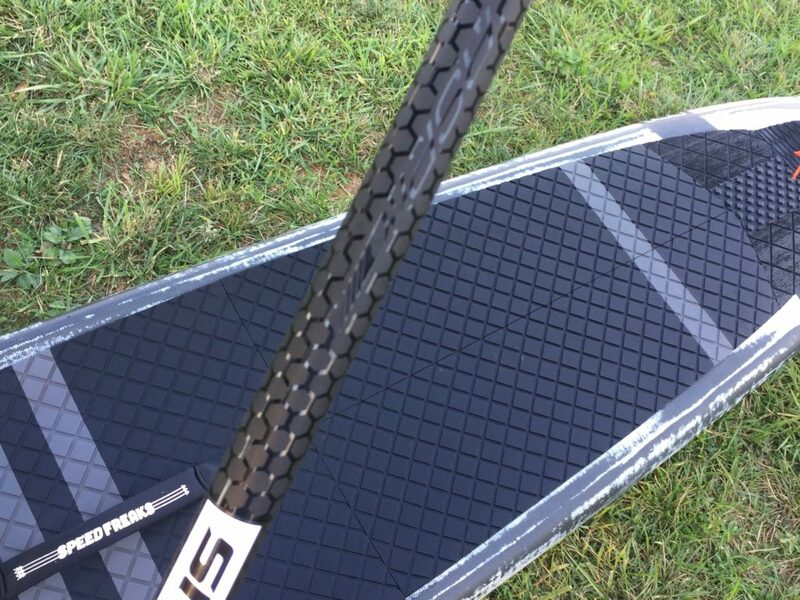 Probox Fin system allows infinite setups for variety of SUP boards. 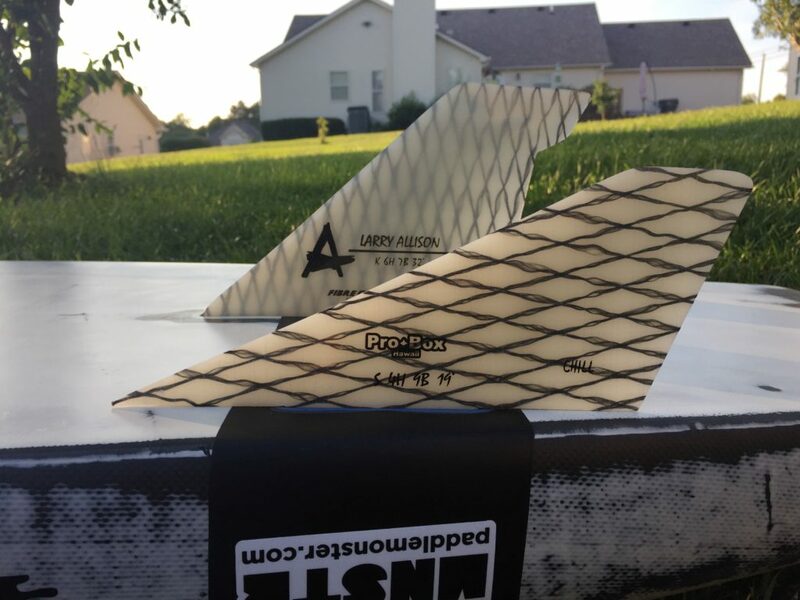 Both of my boards are equipped with the Larry Aliison Probox Fin system and use his handcrafted fins. The system makes the board stable in any condition and tracks your board much straighter. With the 4 fin setup, initially you want to test run a few fin combinations to find your preferences and performance. Once you do the reward is unspeakable. 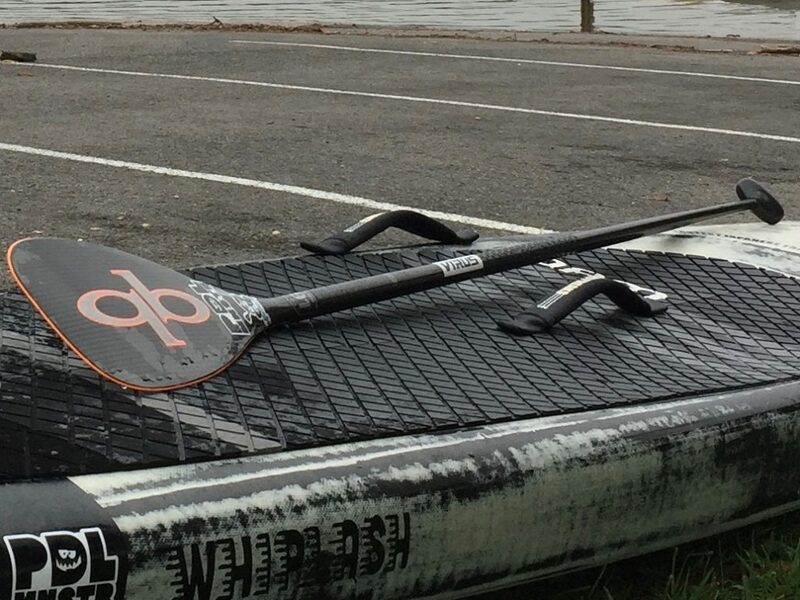 Want know more about Allison SUP race fins and Probox fin System products? 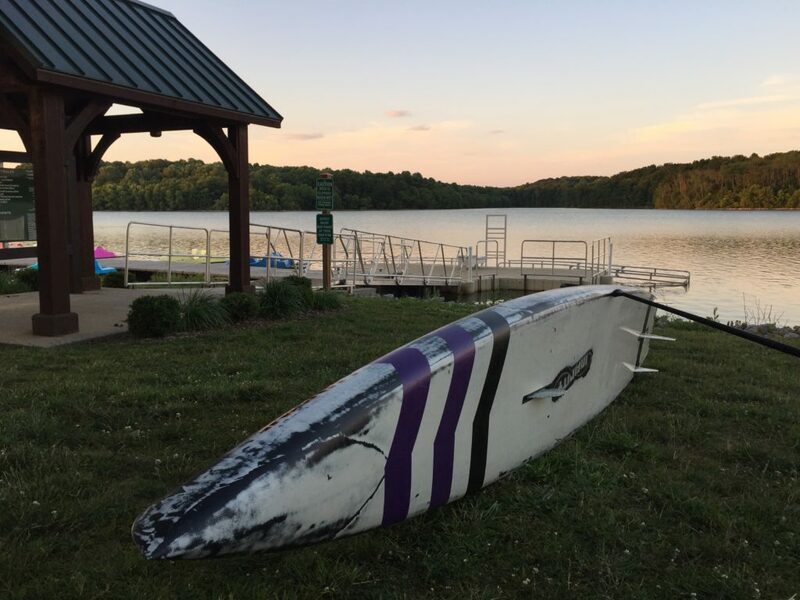 Visit Allison SUP Race Fins & Probox Fin System website today. 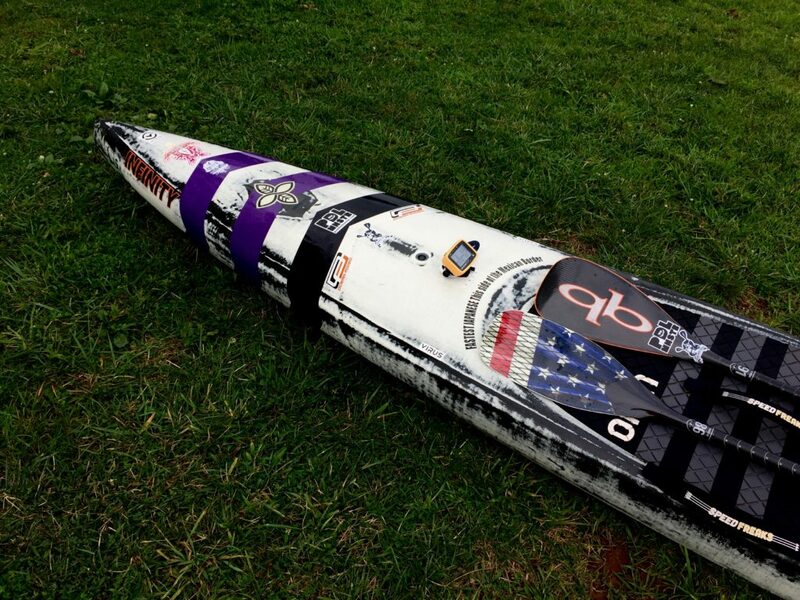 Great friend from Nashville, TN, Tony.T worked on getting Ventral fin box installed. 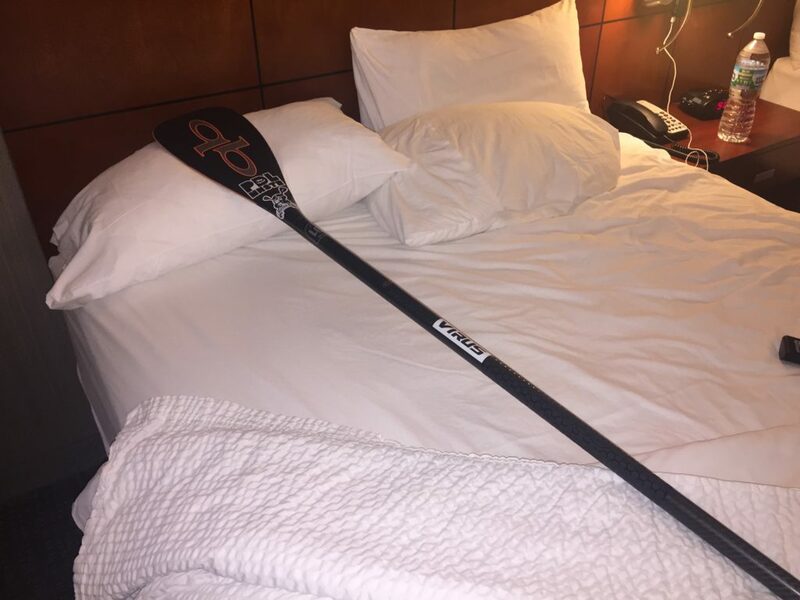 The Paddle is extension to your arm. Such an important piece of gear to own. 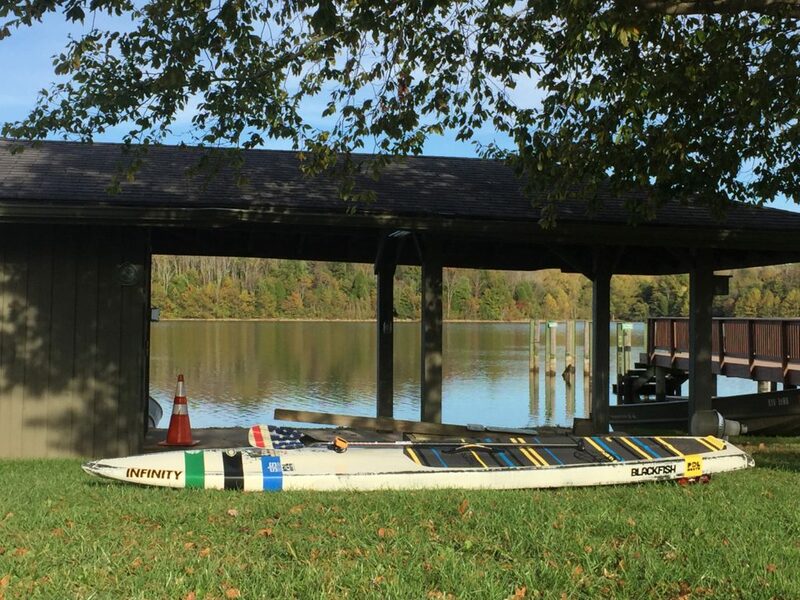 Jim Terrell's hometown is not far from my town and I have seen his incredible nieces races in a small SUP circuit. None the less QuickBlade is my choice for paddles. I use the V-Drive 91 oval tapered shaft (75"). 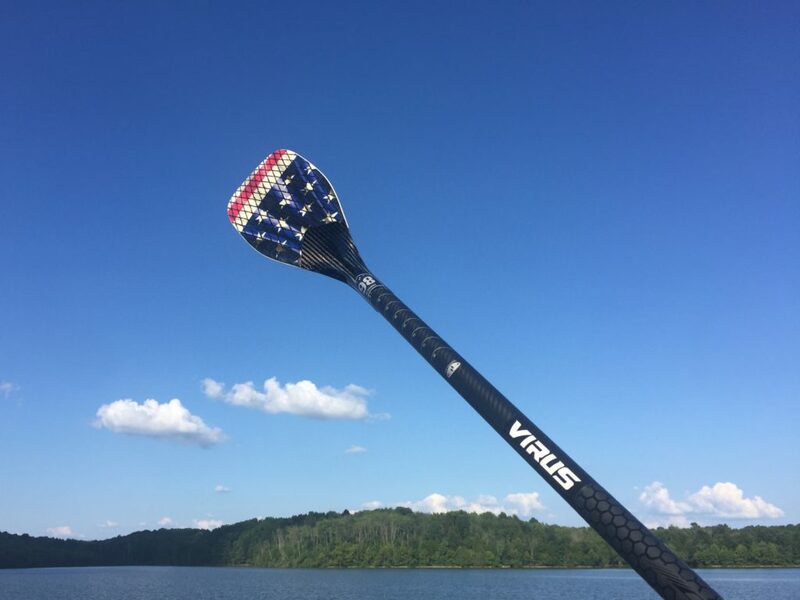 I Recently purchased limited edition US Flag Trifecta 86 oval tapered shaft (76"). 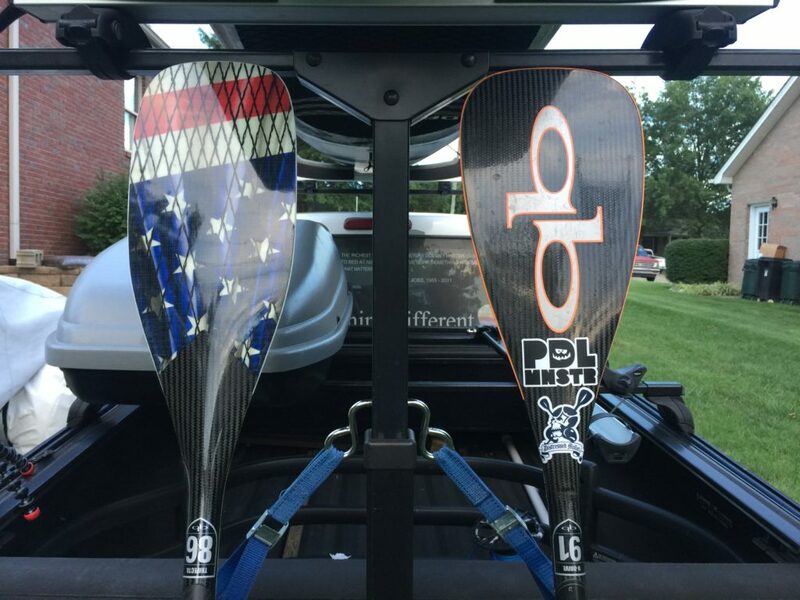 Both paddles are great and are used in specific race conditions. I found my Whiplash works the best with V-Drive 91. Blackfish with its ride characteristics, I find the Trifecta 86 works the best. 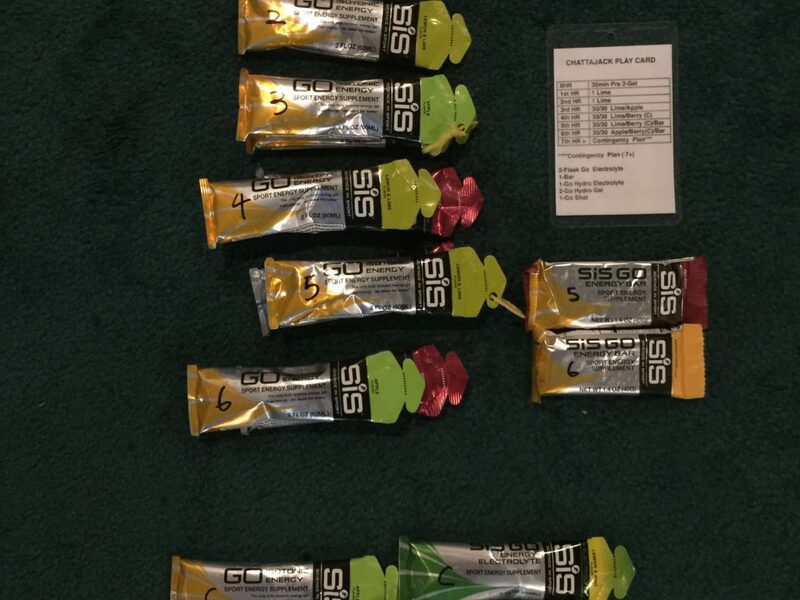 Also, Trifecta 86 was specifically chosen for ultra distance race like Chattajack 31 this year. The extra 1" shaft length ease the body but keep the good power phase. Want know more about Quickblade products? Visit Quickblade website today. #1 asked questions. What is the difference?. See the video for yourself. 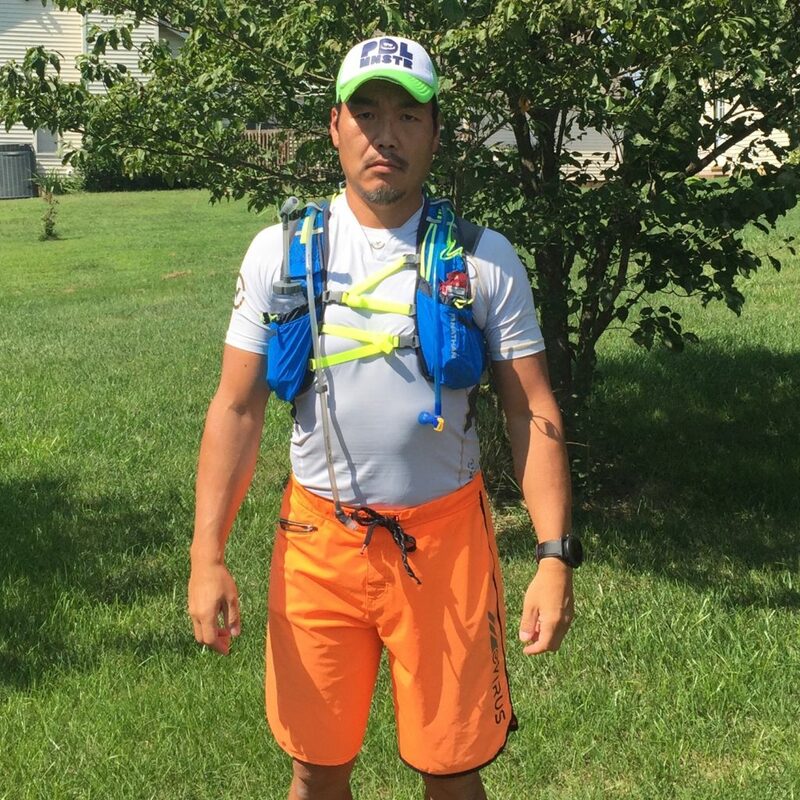 In spring 2016, I remembered how much I was not able to train in the previous winter. 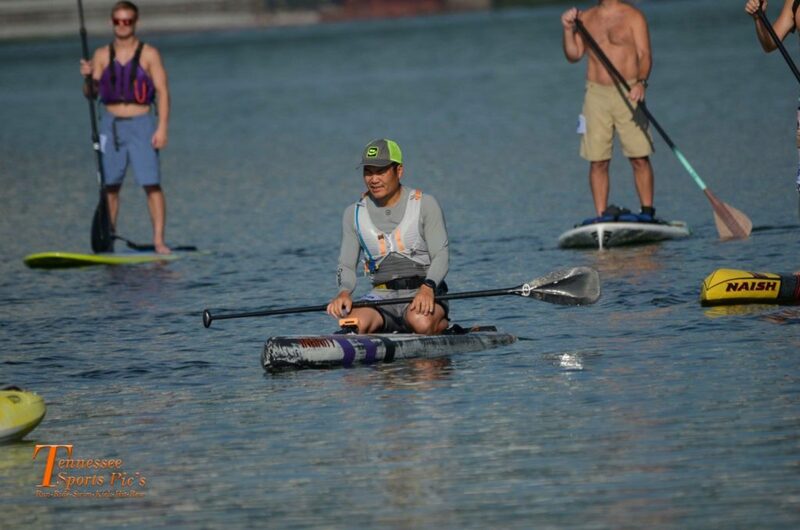 I trained and raced hard in 2016 seasons to be a SUP Ambassador for Ocean Rodeo. 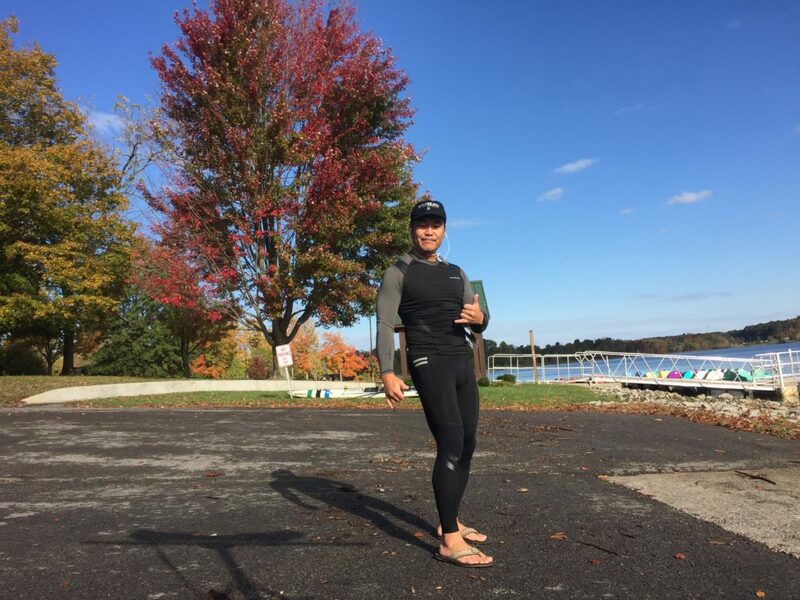 The Company has a great history in drysuit design since the late 80's. They offer 100% drysuits and have three models to choose from. I'm using a "Heat" model which has built-in socks. You get nice comfy feet with wool socks. If you prefer not to have built-in socks then you may like their “Soul" model. Want to know more about Ocean Rodeo products? Visit Ocean Rodeo website today. 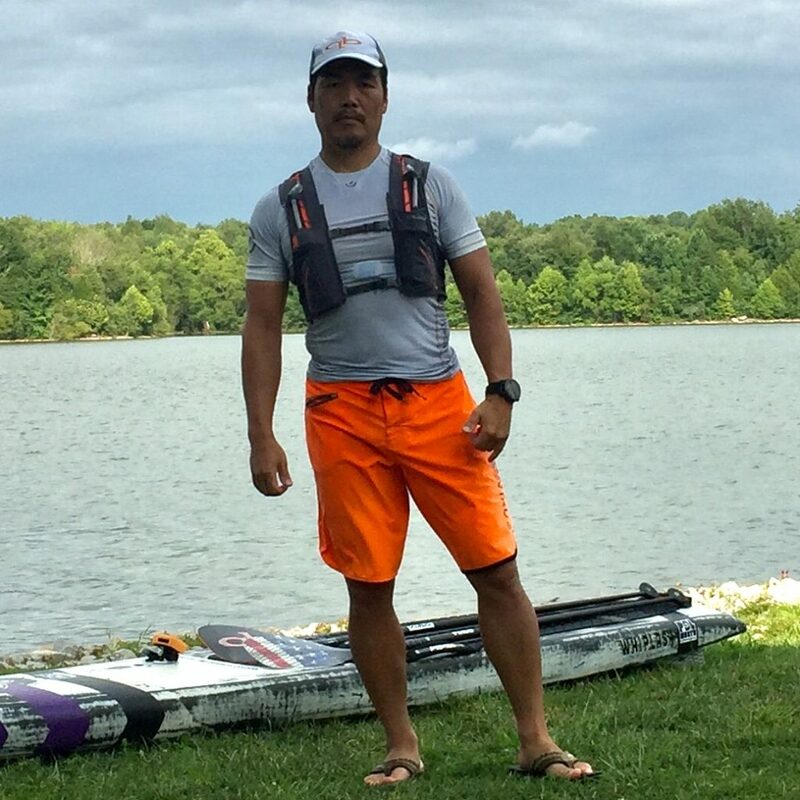 One of the most common SUP conversations you’ll hear is what kind of GPS do you use. 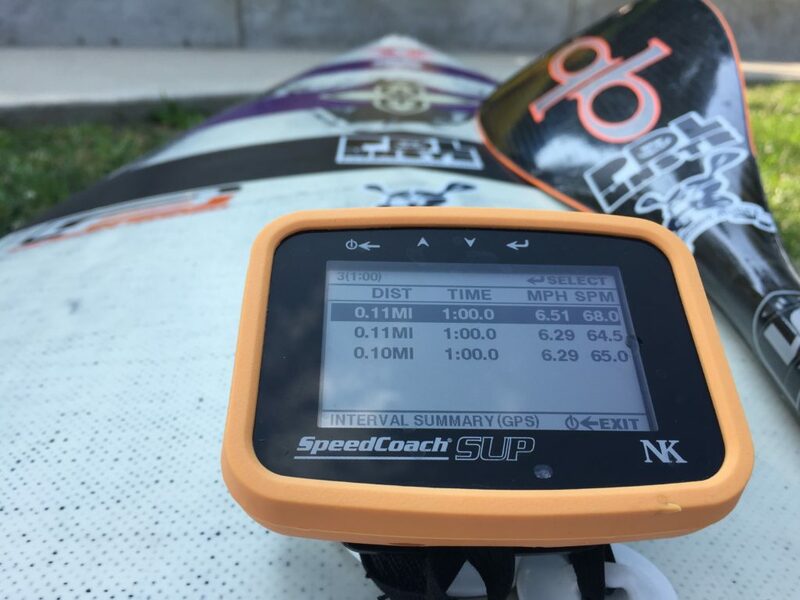 High performance GPS/Data logger for SUP is limited unless, don't want to have visual screen attached to your board. 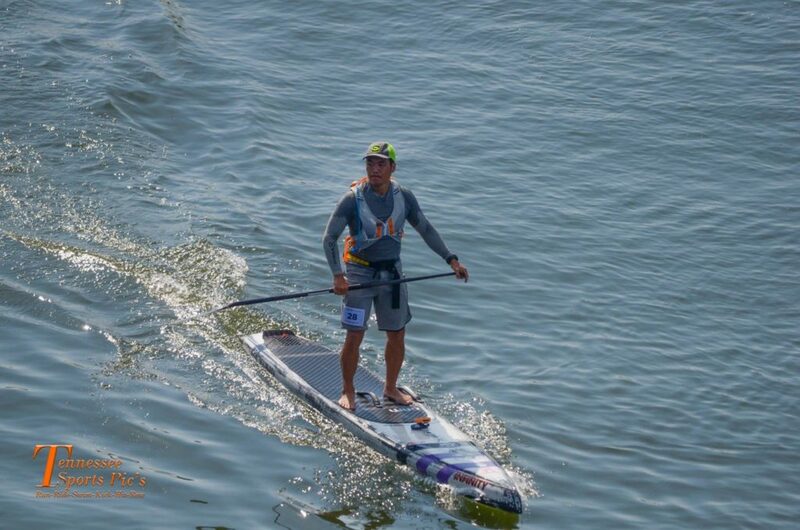 If you are serious about SUP training the SpeedCoach 2 SUP with training pack is best there is. I think the device could use little more updates but in most cases I can do all my training program right at finger tips. It's been close to a year now that NK has released the IOS/Andriod app which makes life easier on the road when you are traveling for races. The Device is easily firmware upgradeable and has seen many good changes in the past. The NK company listened to our needs and released the updates. 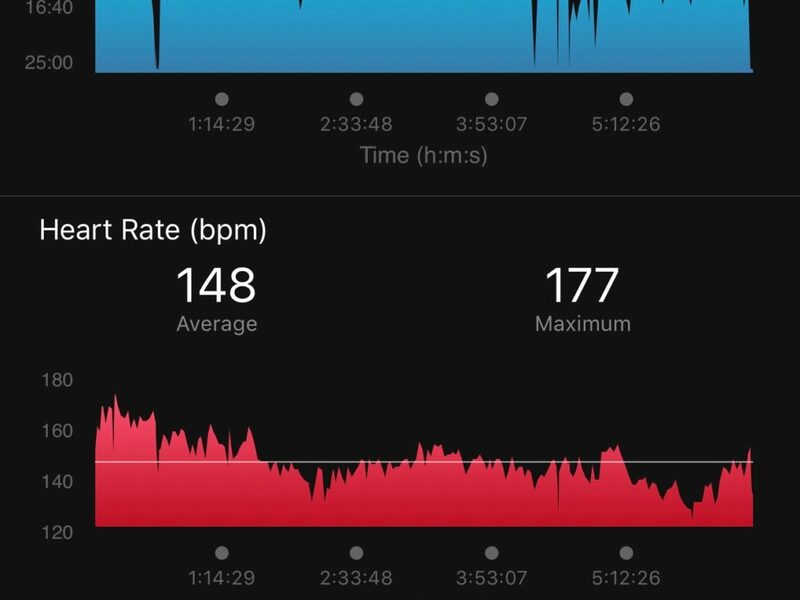 Bluetooth Heart rate is supported which is important to your training. I think once you try it, you will really like it. 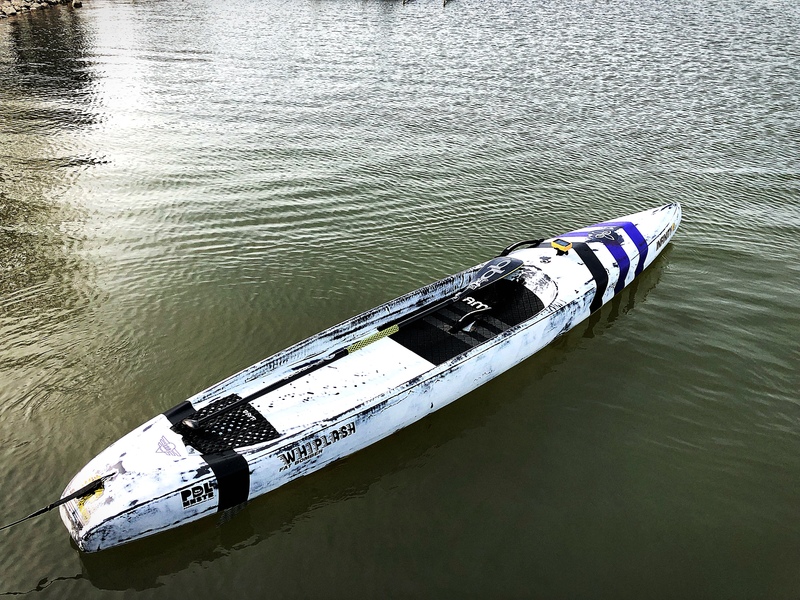 Want to know more about SpeedCoach 2 SUP? Visit NK website today. 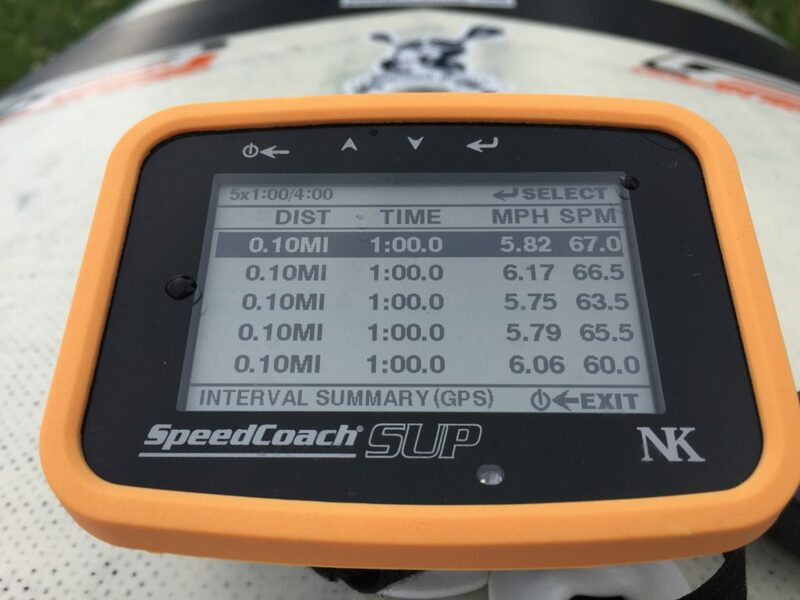 Quick overview of Speedcoach 2 SUP functions. What is there not to like about Virus clothes? I found many of other fabric technology works but to a lesser extent. For high performance cloth both in summer and winter season, Virus clothes offers great comfort in both departments. 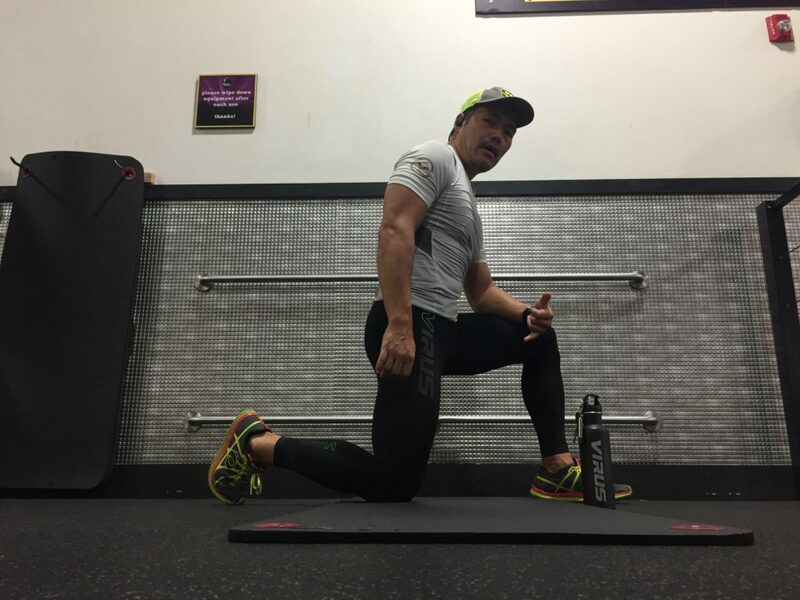 High compression pants such as their AU10 is superb to keep your calf, knee and rest of your bottom muscle nice and tight. If you have not owned anything from their line of clothes you should at least try once. Visit here to learn about their fabric technology. Want to know more about Virus? Visit Virus website today. 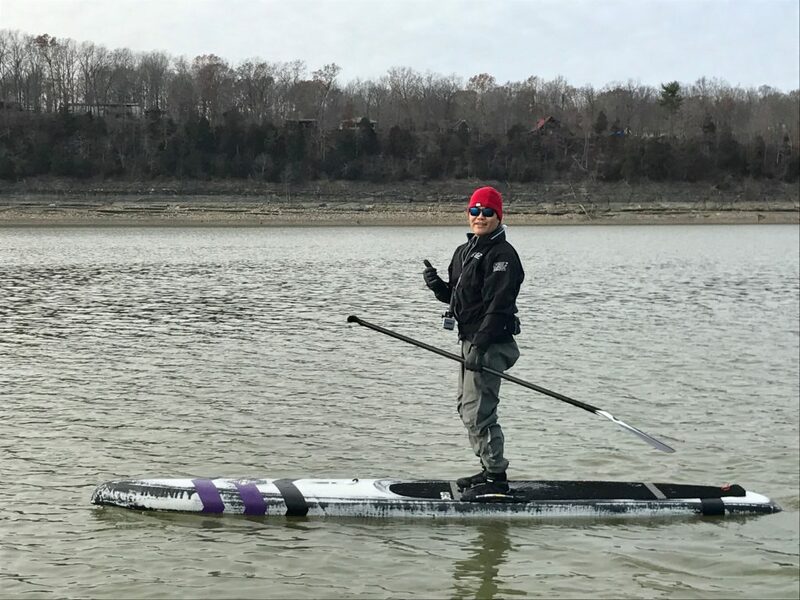 This is another common SUP conversation about what you use for grip. I have been using HEAD tennis grip for awhile which never leaves a smell even after it gets wet. The grips stay firm but never dries quickly. 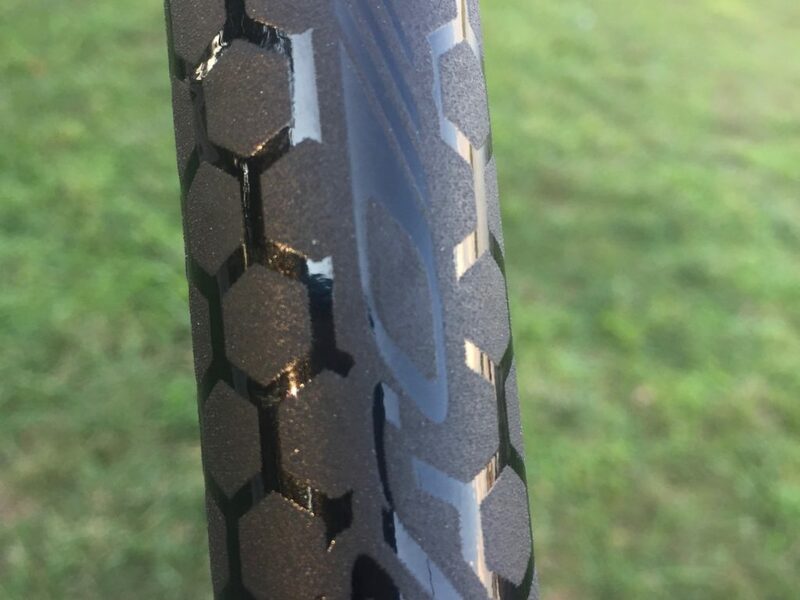 As I battled with myself for grip replacement, RSPro came out with a new product called "Paddle Grip RSPro Hexa". It is So thin it barely adds thickness to your shaft. It is Easy to install and the texture is great. It Has a 400 grit sand paper-like texture but will not harm your hand. Even after it gets wet you will not loose your grip. It Dries and sheds water easily during the race. If you are looking for light weight solutions you might want try this products. Want to know more about RSPro products? Visit RSPro website today. Nutrition is such a difficult part of your decisions. I have used many different products on the market and I don't think I was ever happy with it until I found SIS. I wish I knew SIS existed a long time ago. Gel products are purely easy to take without any additional liquid intake which makes life easier when both hands are in use. I found that most products are too tacky and sticky to take easily and require you to drink something to get them down. Drinking is a great part of your process but when both hands are being used, I personally like to split the nutrition intake apart. Hydration powder is available in different types but overall none of the products have given me any issues nor do they lack performance. Betrer yet when I need that extra edge it works immediately. All of the product lime seems to be really performing well and it speaks for itself. 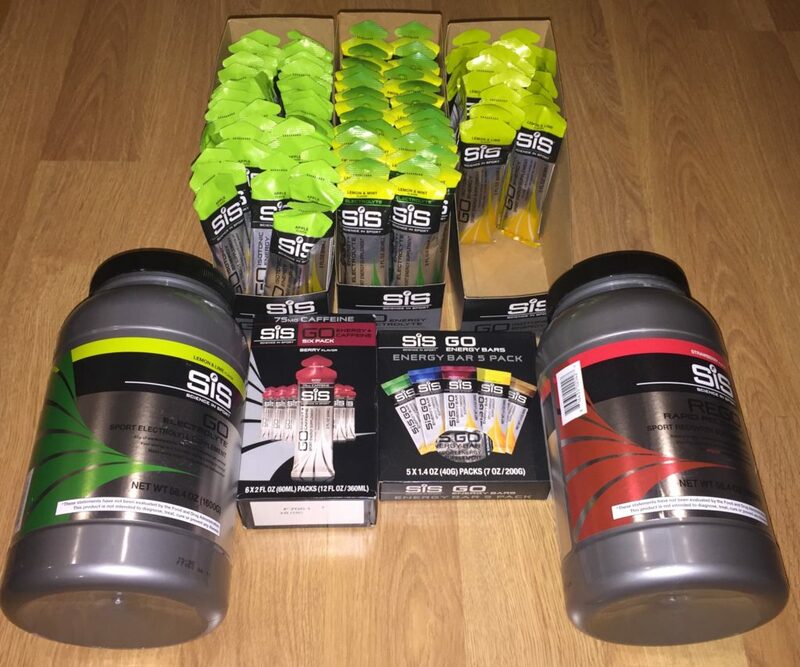 Want to know more about SIS products? Visit SIS website today. 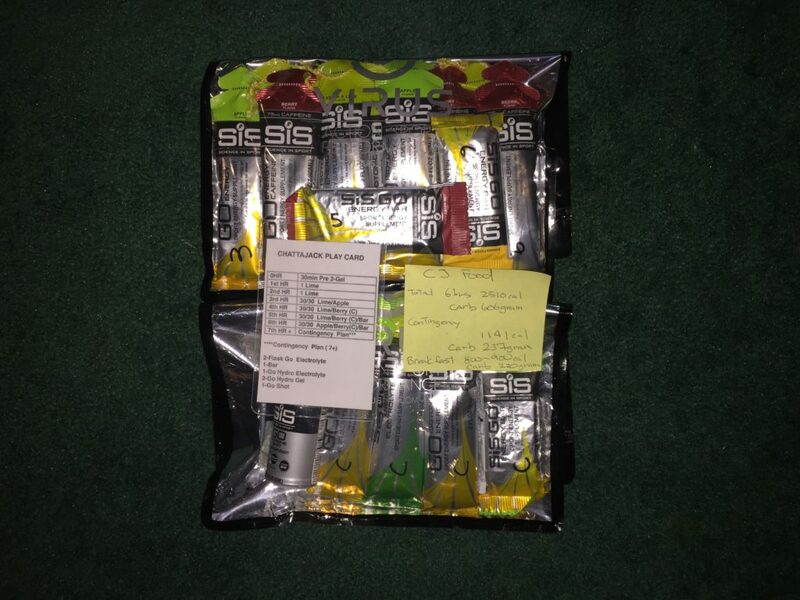 Company that is serious about their athletes. Our carbon racing board is a fragile piece of equipment that requires full attention especially during the transportation or staging at the race site. How many have seen delimitation of their board? 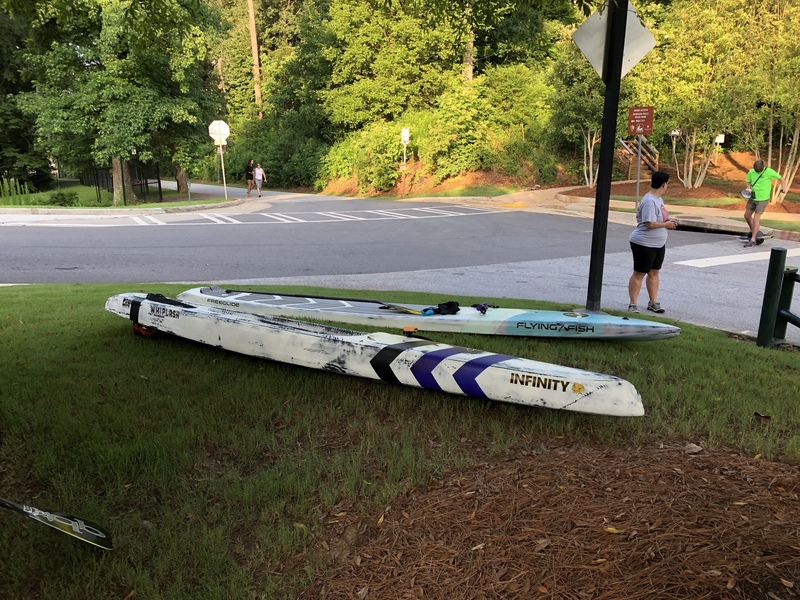 I just saw one at Chattajack next to my board. It wasn't pretty at all. The owner of the board was there and I asked about it. He told me it was just 30 minutes back home and that alone delaminated the board. His board was a full black carbon race board. There are many choices of board bag s on the market. But if you want it well protected, well fitted and custom to your needs such as extra padding on nose/tail then you have one choice to make. Vitamin Blue in Costa Mesa, CA ioffers 100% custom made to order bags for SUP and are handmade in USA. You tell them what you want and they will custom make the bag for you. 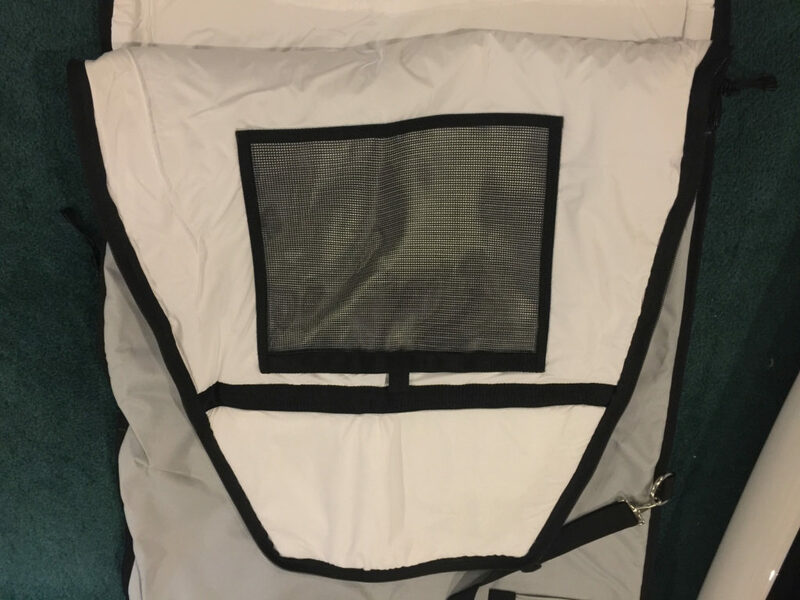 There is a standard price for 12.6', 14' and up but if you request additional options at small cost you will have your very own dream board bag. 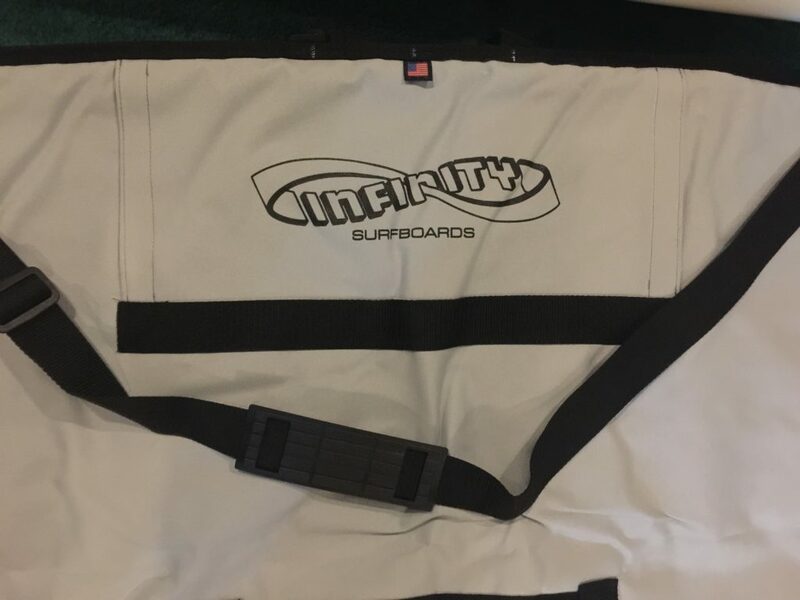 The quality of the board bag is second to none and you will not be disappointed. 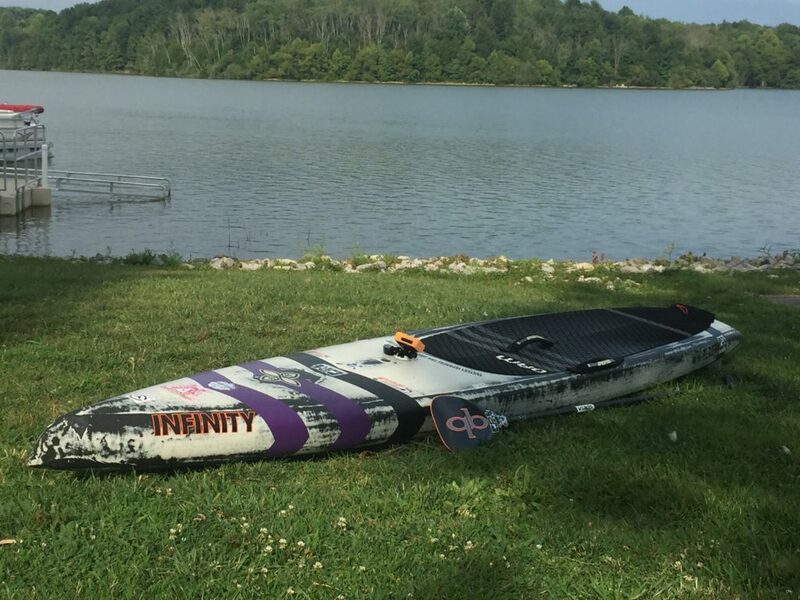 Both of my boards have identical setups including the Infinity logo, reflected, fin storage, rear fin opening, center handle opening top/back side hands, and double padded nose/tail. Do you want to know more about Vitamin Blue products? Visit Vitamin blue website today. 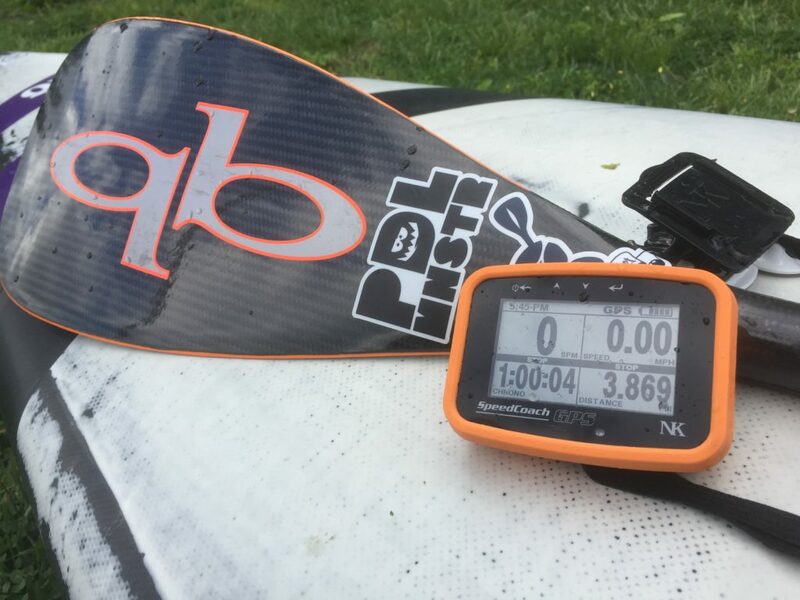 Learn what you need to know on how to measure your board to order your next custom board bag. 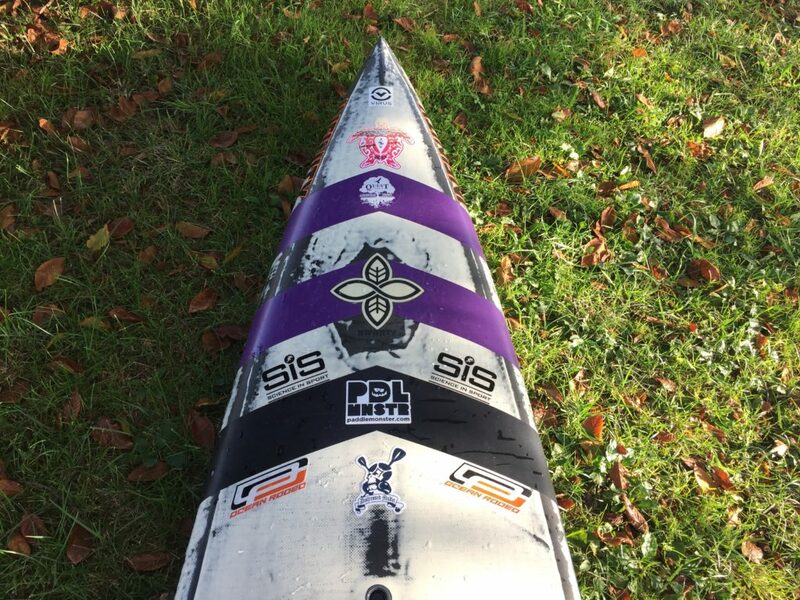 SUP racing require good fit to aboid chaffing of your skin. 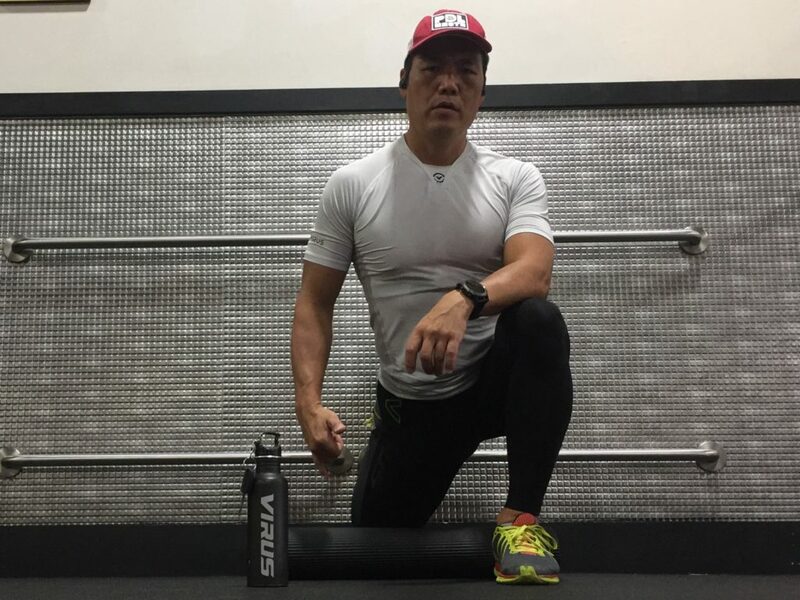 I have used common hydration brands and worked well but the fit to my body was never right. Recently, I purchased two of Nathan's products. One is Vapor Krar 4L Race Vest and other one is Vapor Air. Both products are slightly different in fabric type and bladder capacity but both fit well on my body. 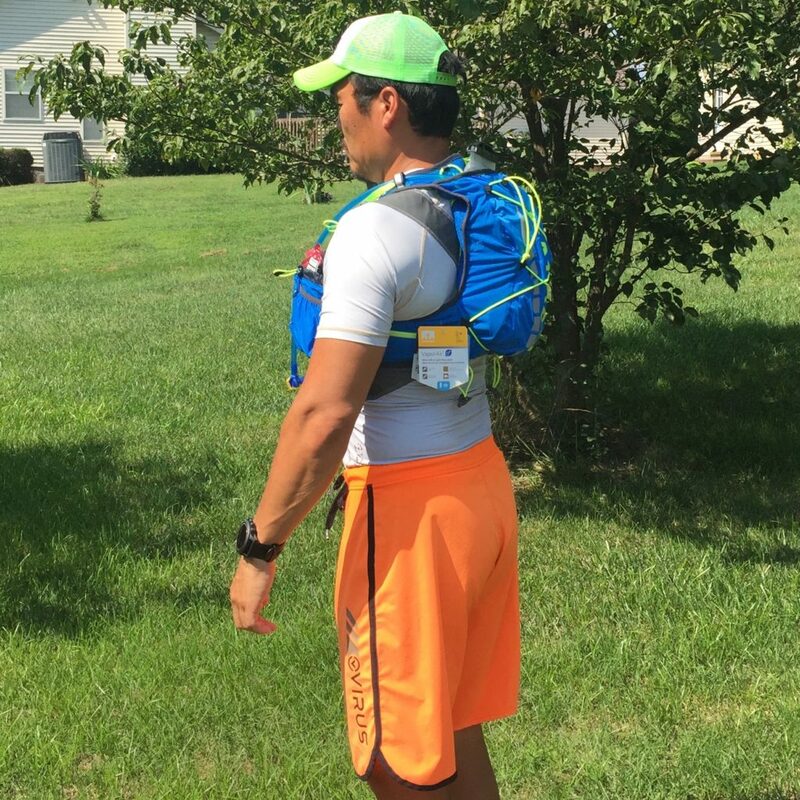 Vapor Krar Race Vest is my go-to pack for my normal 6-8 mile SUP race or with the 1.5L bladder capacity I could go up to 15miles SUP race. 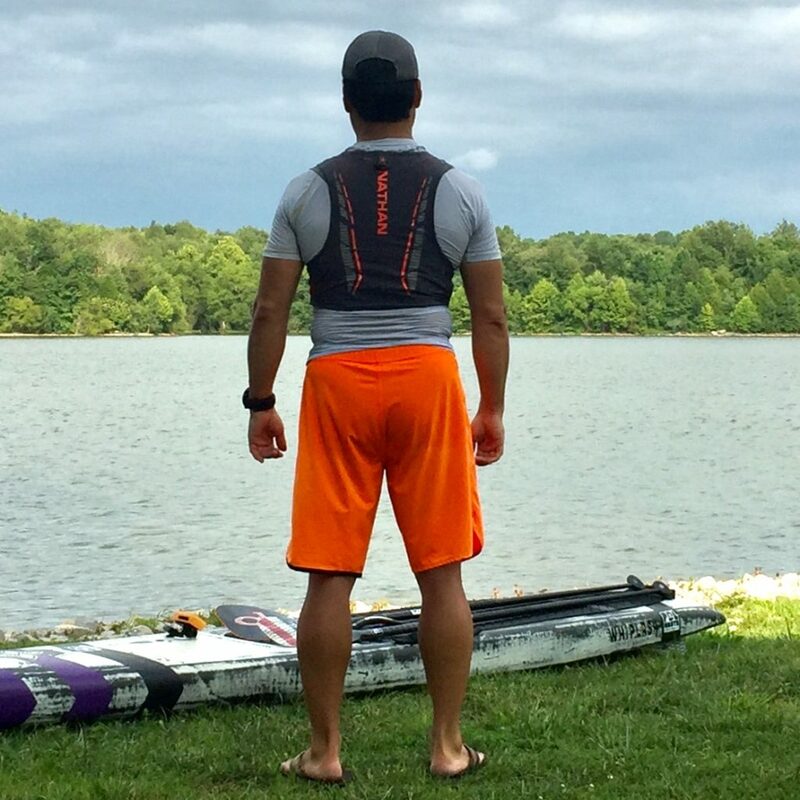 Vapor Krar uses a stretch cloth fabric style that fits well and has some give when you wear it. It was easier to wear than Vapor Air. 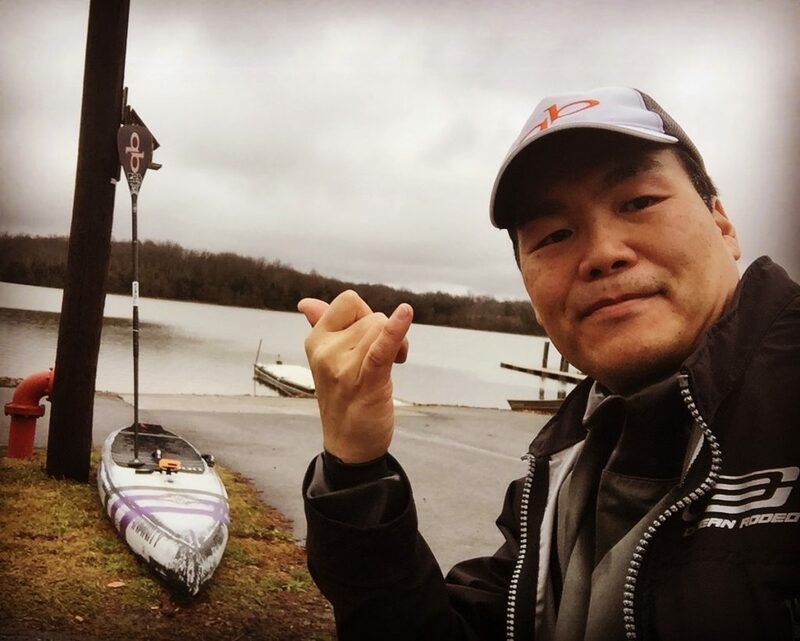 I recenlty used the Vapor Air pack during this year’s Chattajack 31. 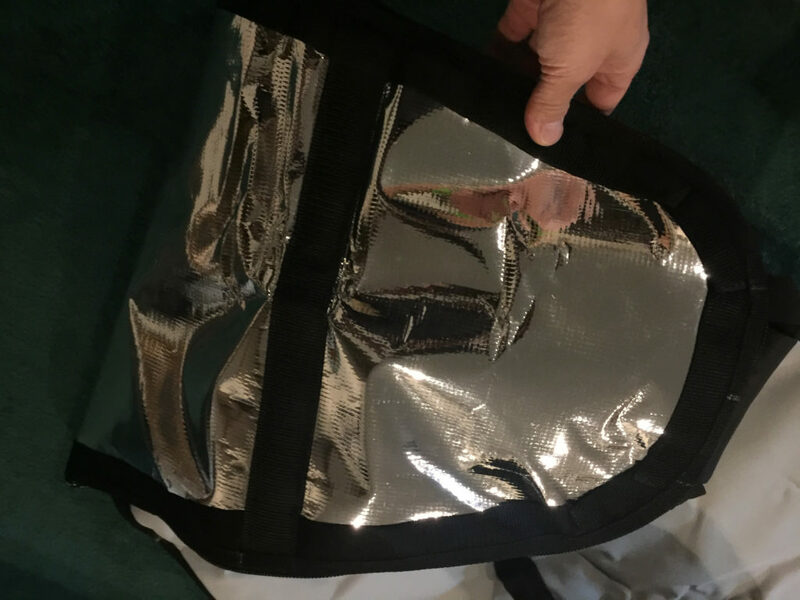 I was anle to use 2x 2L bladders without any modifications to the pack s. This left plenty of front pocket space for gels that I require to carry onboard without getting from the board deck itself. Vapor air offers a slightly tighter fit compared to the Vapor Krar. 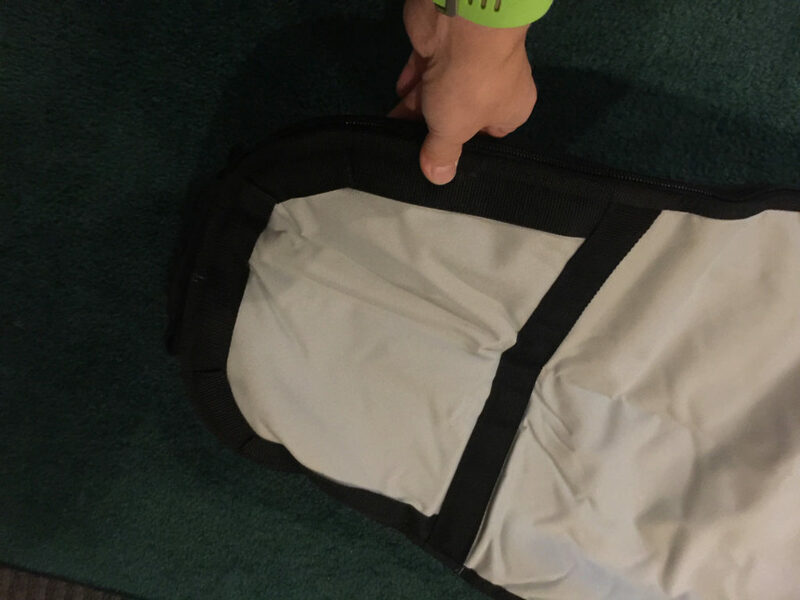 The Vapor Air uses a mix of stretch fabric and thinner fabric. It is light but also easy to break the thread if you try to pull around or force the pack to fir. 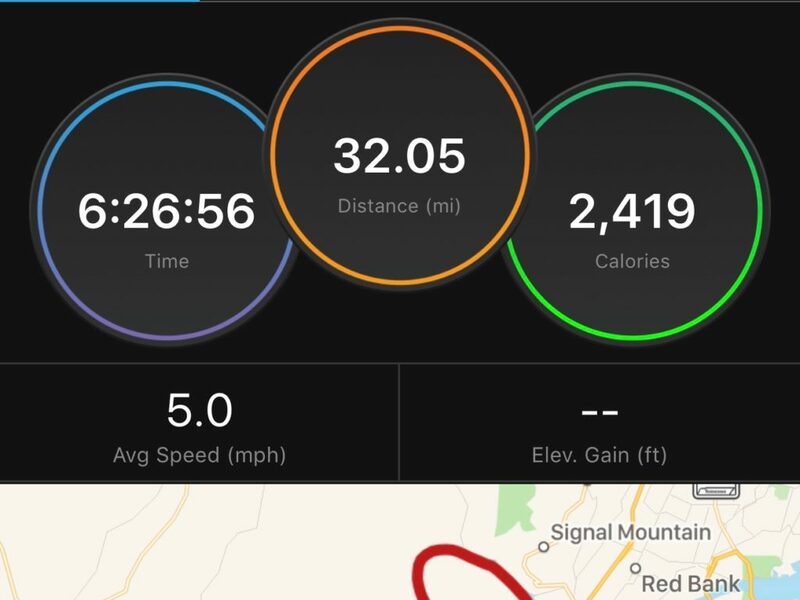 I had no chaffing for 6hrs and 26min on Chattanooga river. Want to know more about Nathan products? Visit Nathan sports website today. I am a long time Polar watch user. I would use it when I used to race my mountain bike. That is how my HR zone training started. Now that I have moved to SUP racing, I had to move up on my wearable devices as well. 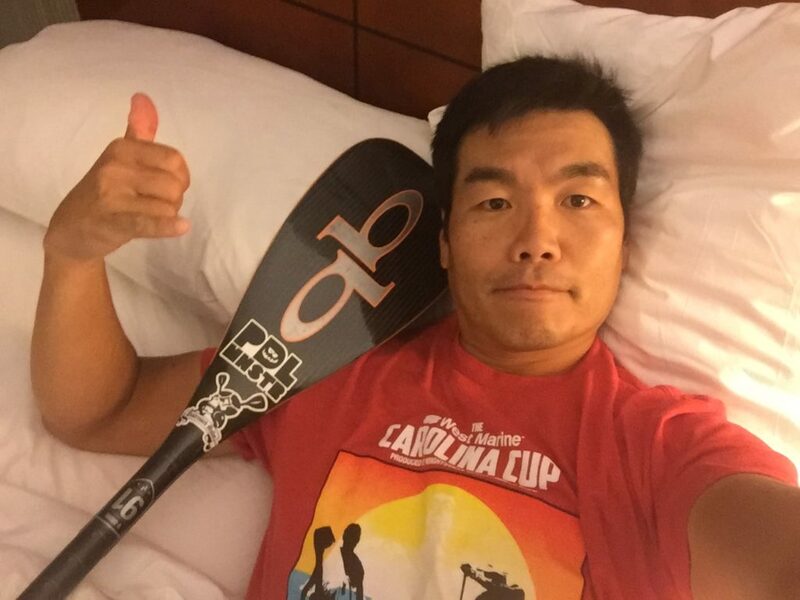 It wasn't too hard as Garmin was only company that supported SUP and rowing sports. I had a few choices of models but the Fenix 3HR was the perfect wearable device. It has a built in HR monitor and ANT+ external HR monitor. Also has a battery that lasts a few days. The Watch has been serving me very well and it is my backup for my SpeecCoach. Some people like to use smart phone to track GPS but the battery life isn't that great. 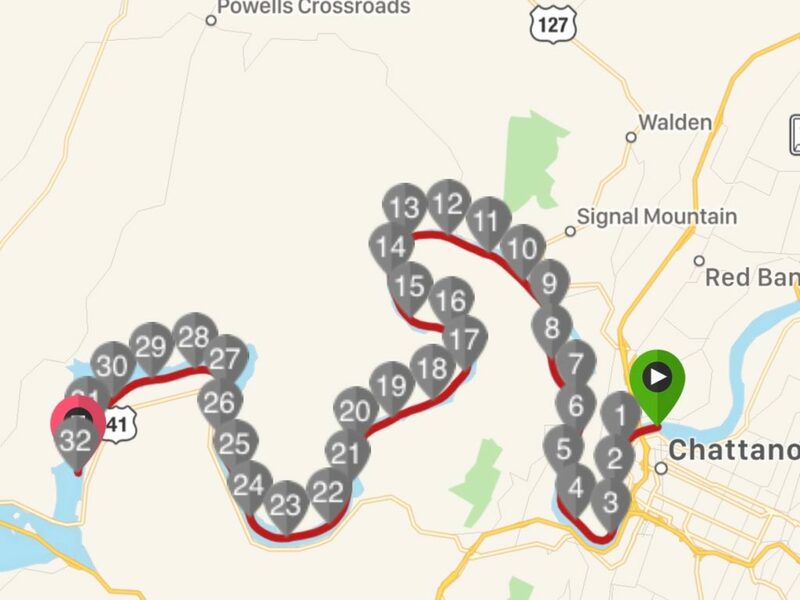 GPS consumption on Fenix 3HR at Chattajack for 6hr26min was about 50%. Want to know more about Garmin products? Visit Garmin website today. 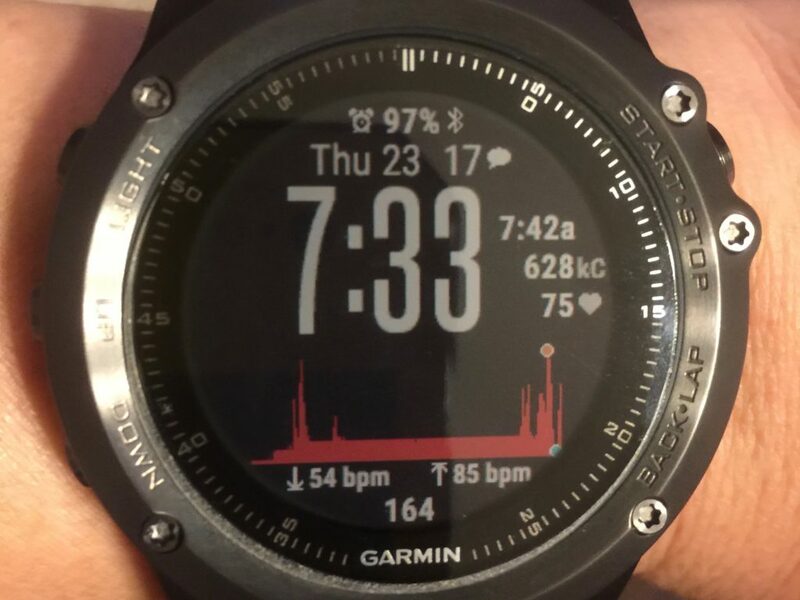 What you do when you have a bluetooth capable SpeedCoach 2 and ANT+ Capable Garmin Fenix 3HR watch? Wahoo makes three different HR monitors with Bluetooth and ANT+ signal broadcasting simultaneously. 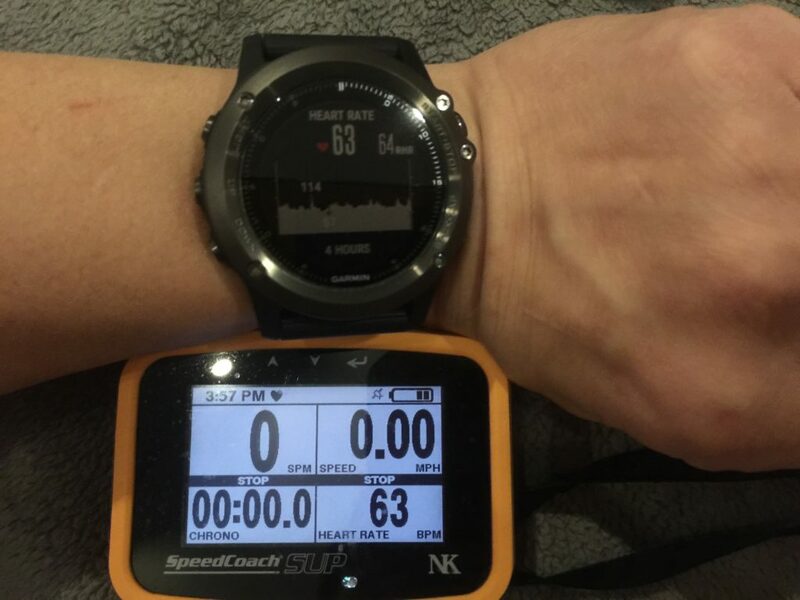 This means that your SpeedCoach 2 and Garmin watch can communicate at same time!. 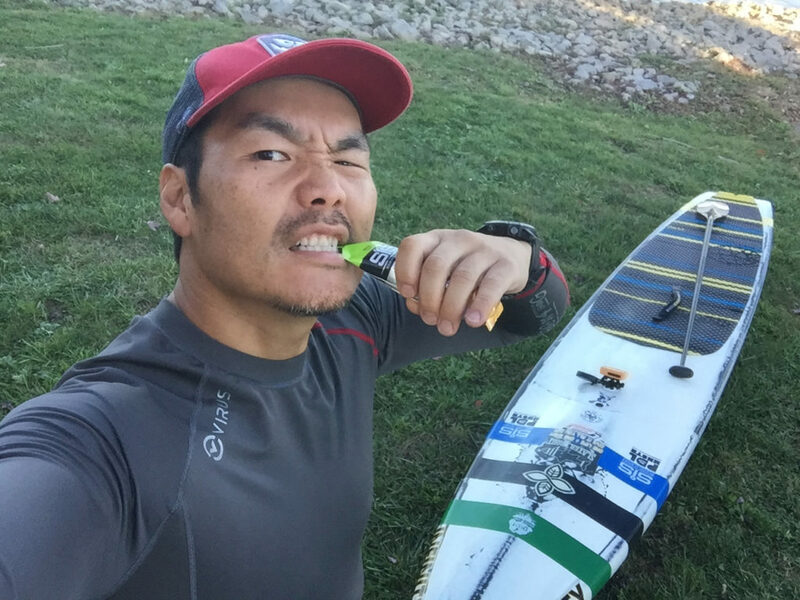 For SUP you need basic Wahoo TICKR model. Other two HR monitors have extra feature that SUP does not require. 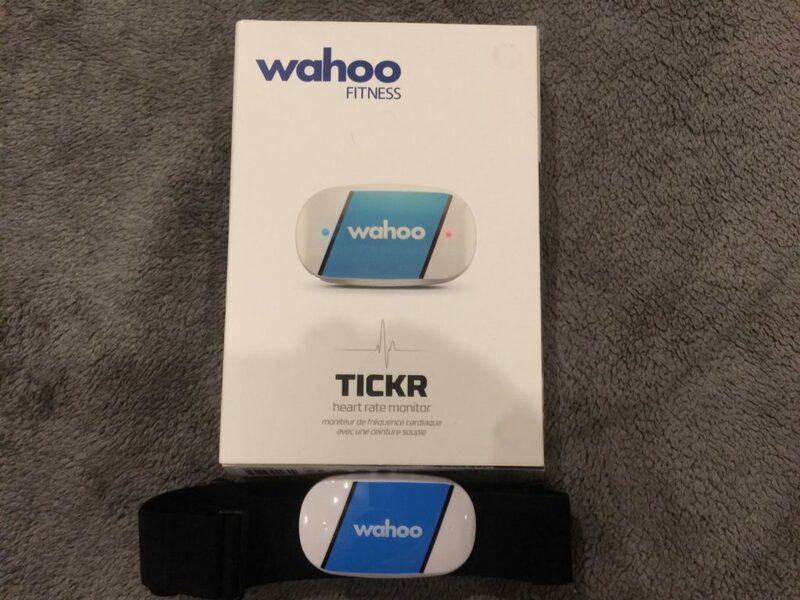 Want to know more about Wahoo TICKR products? visit Wahoo website today. My Daily dose of body maintenance comes from this collapsable roller by Brazyn. This roller travels with me wherever I go and is a must have tool for everyone. 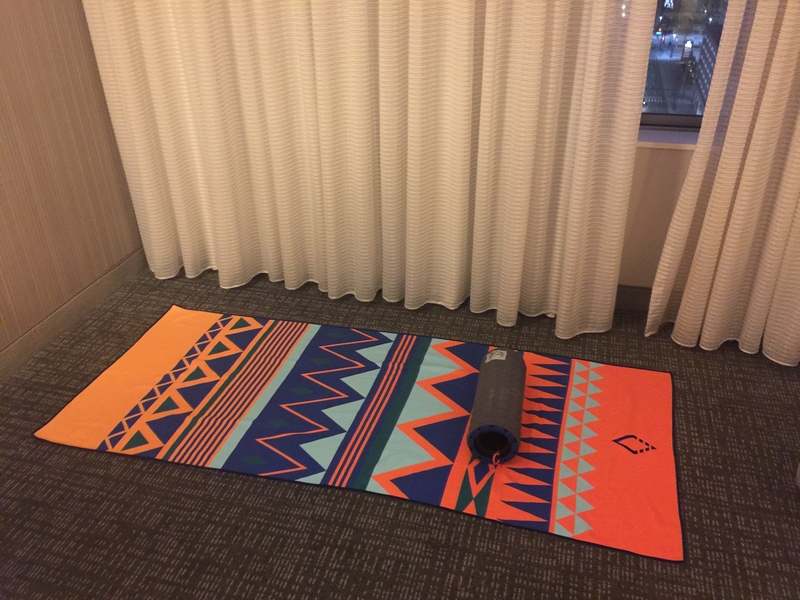 If you have roller then you may need some kind of mat. 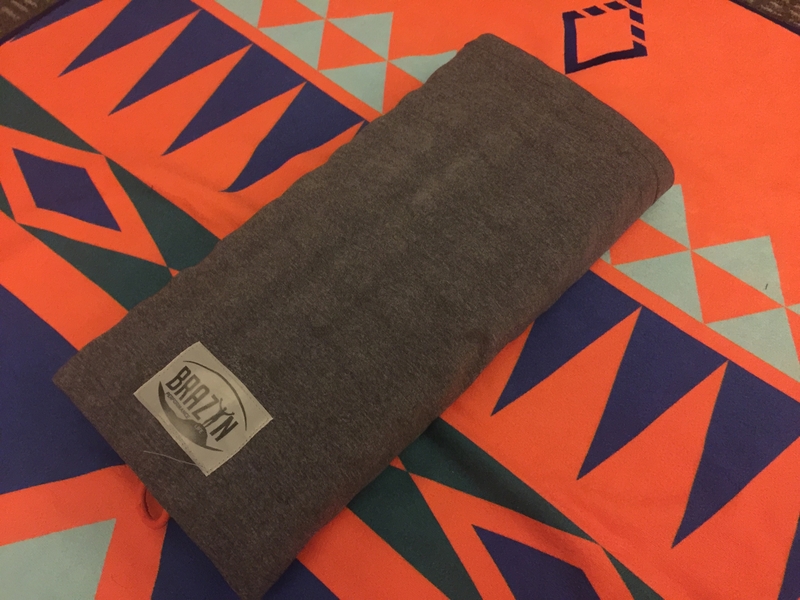 Meet the Nomadix multifunction towel. It’s a Slip resistant towel that sticks to any surface, yet feels like a durable towel. 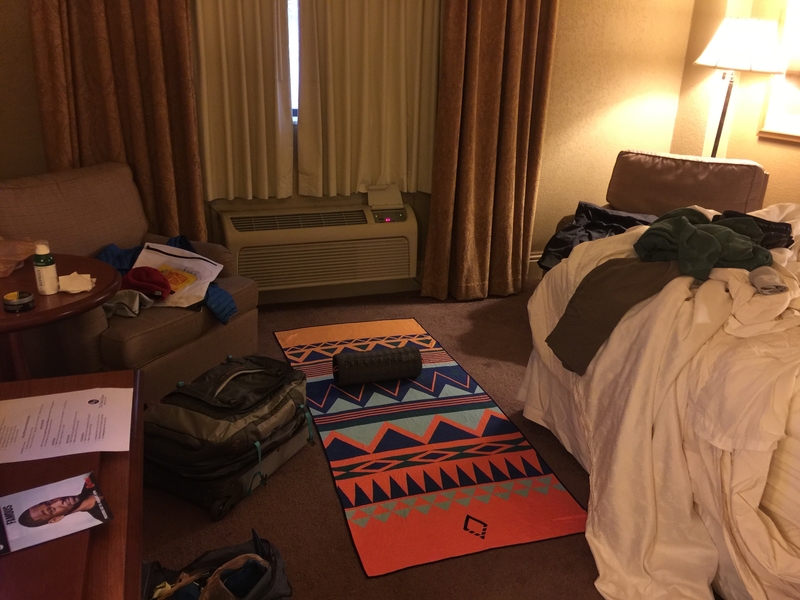 These two are the first one to come out my travel bag when I entire my hotel room. 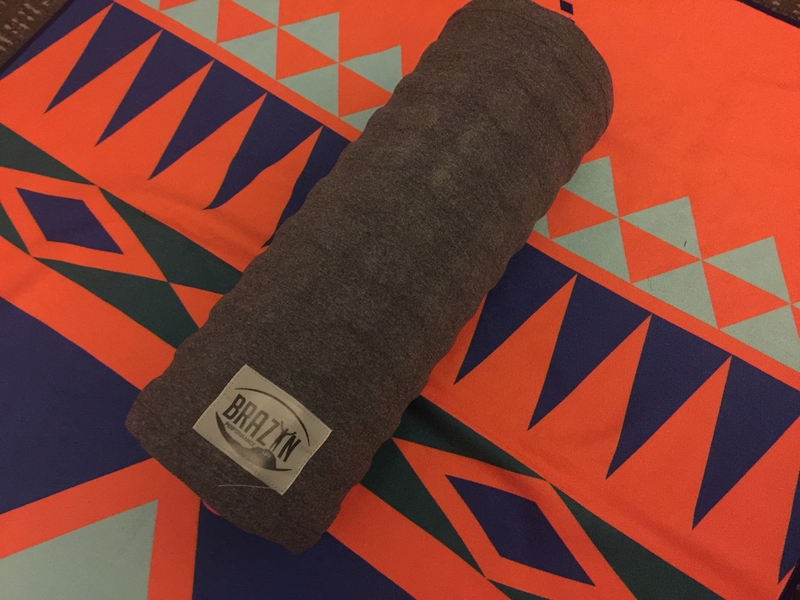 Once you try Brazyn roller you will love how it feels on your body. Want to know more about Brazyn or Nomadix products? Visit Brazyn and Nomadix website today.